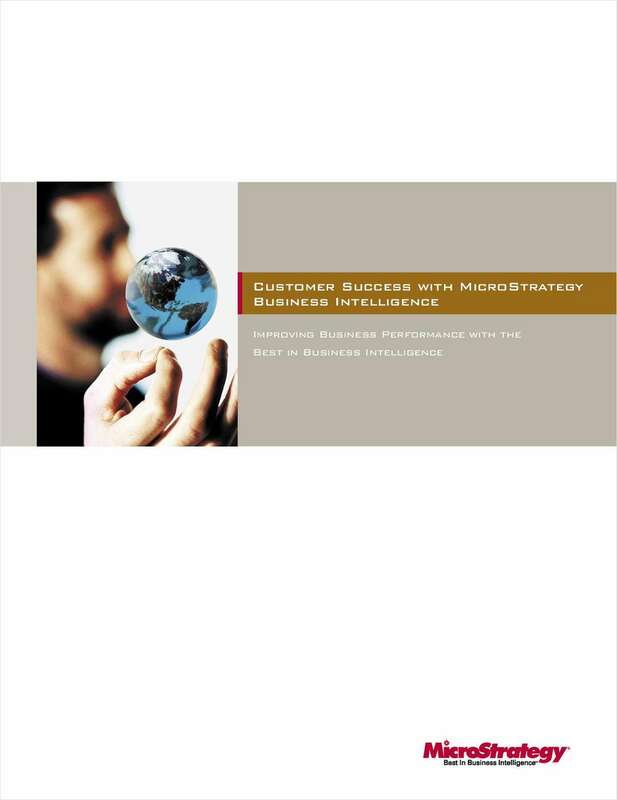 "Best Practices and Case Studies for Standardizing on Business Intelligence Software"
Free White Paper: "Best Practices and Case Studies for Standardizing on Business Intelligence Software"
Explore the real-world selection criteria for business intelligence (BI) standardization as employed by leading companies. This paper benchmarks enterprise data environments, providing quantitative and qualitative assessments of BI requirements useful for your organization's own standardization efforts. By submitting this content request, I have legitimate interest in the content and agree that MicroStrategy, their partners, and the creators of any other content I have selected may contact me regarding news, products, and services that may be of interest to me.